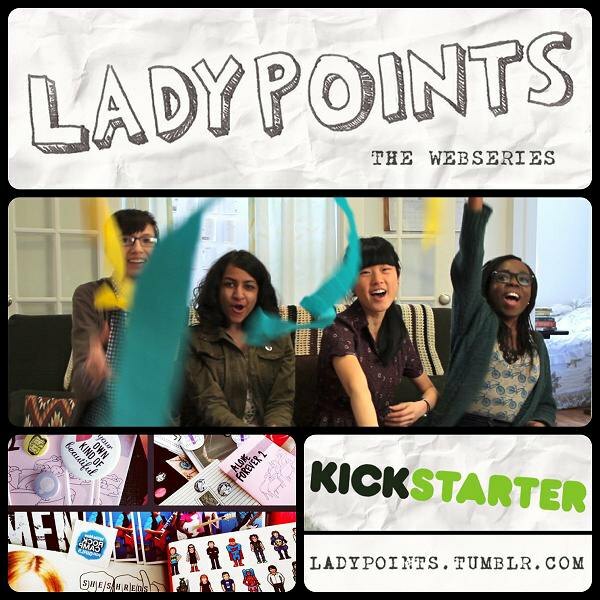 Ladypoints webseries profiles women who define success in their own terms. Photo courtesy of Ladypoints. Much in the same spirit of Facebook chief operating officer Sheryl Sandberg’s Lean In movement or comedian Amy Poehler’s Smart Girls at the Party (SGATP), four Brooklyn and upstate New York-based women are also celebrating women. Filmmakers Keiko Wright, Jamie Li, Rekha Shankar and Samantha Knowles created Ladypoints, a pilot webseries profiling diverse women in New York who are passionate about their chosen art and careers. The concept of Ladypoints is similar to the concept of earning brownie points. Ladypoints are shoutouts or hypothetical high fives given to people when their everyday choices, no matter how big or small, promote “women’s agency and independence.” For example, following your passions or helping another woman achieve her goal. Season one consists of six, three-minute documentary-style episodes featuring New York women. The women launched a Kickstarter campaign, which ends on April 21, to raise $7,500 to film season two. Three of the episodes will be travel episodes where they will film women in other parts of the country. So far they’ve raised more than $6,000 and they’ve already picked some of the interviewees for the second season. Beginning in mid-June, one episode from season one will be released each month. Interviewees have already been chosen and the first pilot episode has been filmed. It features Nicole Drespel, an improv performer at the Upright Citizen’s Brigade (UCB) and actor in the webseries Vag Magazine. Actor and improv performer Nicole Drespel is featured in the pilot episode of Ladypoints. Film still courtesy of Ladypoints. The idea for Ladypoints was inspired by a combination of successive experiences. First, Wright volunteered as a videographer at Willie Mae Rock Camp, a camp where girls learn to play an instrument, form a band, write a song and perform at Music Hall of Williamsburg at the end. Wright was inspired by the program’s ability to empower young girls in the male-dominated music industry. Simultaneously, Wright also discovered SGATP. Subsequently, Li and Knowles were filming at the Philadelphia Doll Museum for Knowles’ documentary Why do you have black dolls?, when two curious high school girls approached the filmmakers. One of the girls simply stated that she wanted to be a photographer. Li added that when women, as well as marginalized individuals, see representations of themselves in the media, “it’s a big deal.” However if these individuals are seeing themselves in the media in simplistic or dehumanized ways, it really impacts the way they feel about themselves. “I hope that with Ladypoints we can show that there’s women doing amazing things for themselves and we can say to young girls, ‘There’s no reason to doubt yourself or to have fears or intimidation, because there’s many women just like you pushing through to make things happen,” Li said. To donate to the cause, suggest an extraordinary woman to be profiled or a city to shoot, please follow the Ladypoints tumblr.